A high frequency language with many different dialects that can connect to multiple dimensions and Galactic Nations. A catalyst for soul ascension process. Balance emotions, release karmic blockages, awaken our dormant pineal gland and restore unconditional love. It is an education and healing to transform human consciousness. A rare opportunity to restore our inner soul to Pure Divine Light, Love and Peace from the highest source. We apply sacred geometry with multiple Galactic voice and tones to unlock human’s potential. It is a multi-dimensional gift to restore Universal Consciousness in this critical time. We have meetups on a regular basis. Just click on the City Name and Join. We share the experience of soul ascension process through the activation and recalibration of speaking, writing and drawing sacred geometry symbols of Galactic Language. Our soul family members and their love ones can participate our meetups, workshops, and private one-on-one sessions in order to evolve our consciousness to the authentic Love, Peace and Oneness. Galactic voice is the voice of love from the Emptiness stage. We are sharing the singing voice of this pure Love vibration to balance the emotion, health and relationship for our daily life. Robert is a healer and clairvoyant. He has been practicing holistic medicine and Feng Shui for over 24 years. 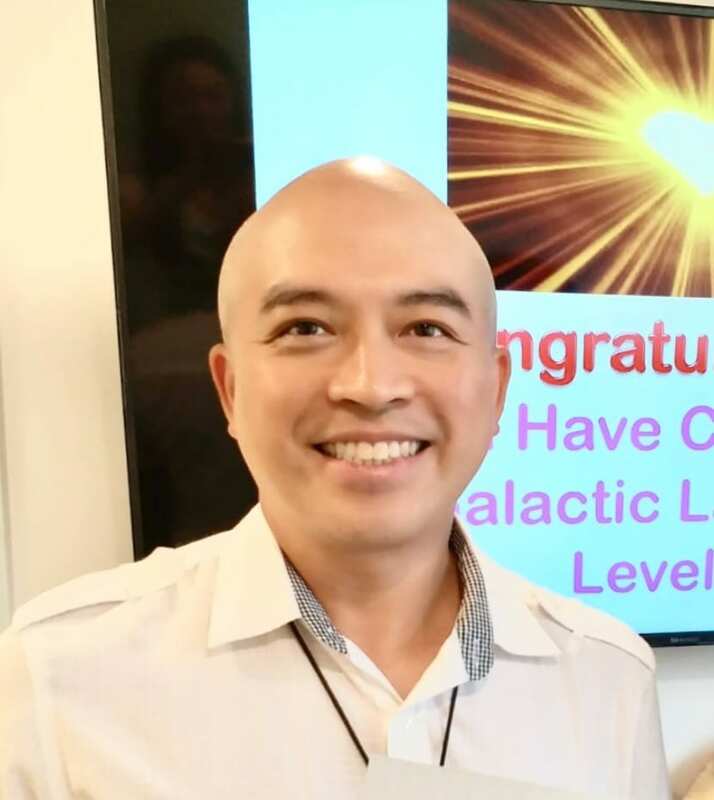 He is the founder / director of Galactic Language Association to promote healing and teaching of Galactic Language. His teaching of writing, speaking and singing the multi-dimensional sacred geometric codes is a catalyst for soul ascension process through the guidance of Light and Love. Robert facilitates Galactic Language Healing with The Great Central Sun, Galactic Council and Universal Consciousness to perform private healing sessions. As a Light worker to prepare humanity for soul ascension, Robert travels around the world to conduct group healing and gathering events to activate and re-calibrate previously dormant human DNA in order to regenerate the higher consciousness of Light to prepare the 5th dimensional shift. I went to get a “deep cleaning” from Robert Tang and also attended a meet-up with Robert and Karen on the 10th and 11th of December, 2016. In the meet-up session Robert and Karen told us of the “Chaos” intensifying as the year ends. We ground, we are upgraded and we are prepared to just float through this period of “Chaos”. The next day, at work there is a huge technical chaos and all the phones and TV systems go down. Everyone is dealing with the chaos, except me. The entire day, I was only assigned Internet connections and that system was working just fine. I just floated through the easiest Internet connections. It wasn’t just a coincidence that for the first time ever, I was not given one TV hook-up. I wasn’t given anything that had to do with the technical chaos everyone, except myself, was dealing with. Nikolaos P.
I express my sincerest thanks for this daily miracle in this period of chaos. I feel as though I am watching a dream in slow motion, as I see the chaos around me in so many different dramatic scenes. I am just floating through it. Thank you Robert Tang, the Divine, Ascended Masters and Spirit Guides! Delores P.